In the last 2 weeks, I have manged to wrap up all the remaining editor feature for my little block builder. That is, all the tools I need to create the shapes and 3D tiles. But, still missing the persistence for saving my work. There were a few tasks on my agenda that got cancelled when I dived into them. Either I found a new way to solve the problem, or the feature just ended up being something that did not really add anything of value. The custom block editor has a configurable resolution and can be set to a cubed range from 2 up to 16. 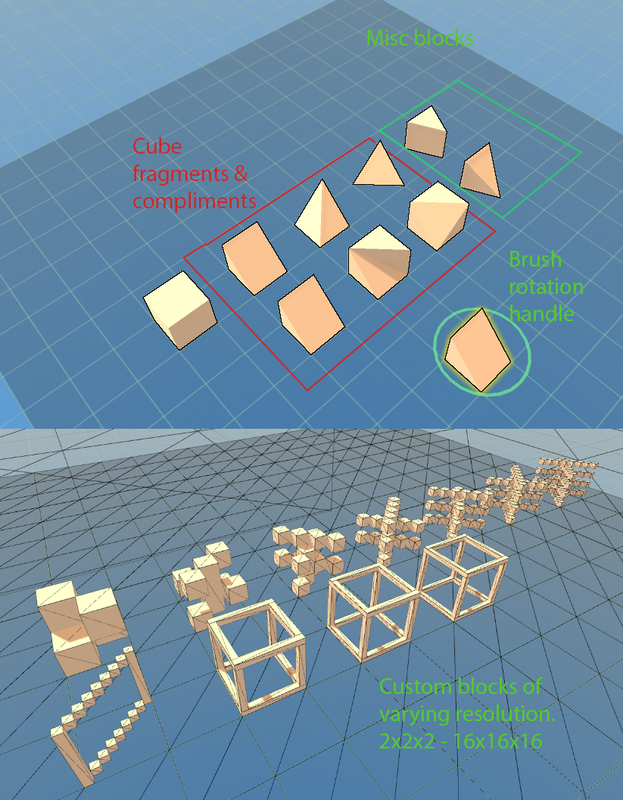 Added a couple of more custom shapes to the shapes library. The brush has a rotation handle so that you can rotate the brush by either x, y or z, but fixed to 90 degree increments. 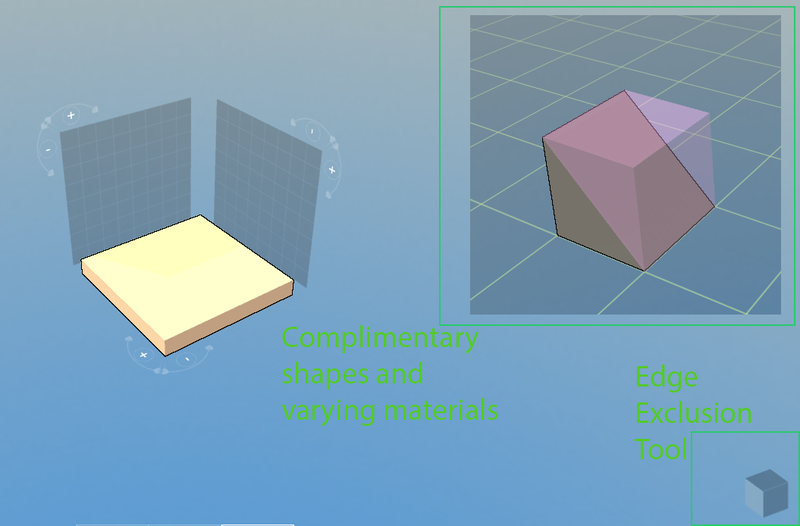 Brushes that are compliments of each other, meaning that both would fit into the same space, as they are two fragments of a cube can now occupy the same space with different materials. When creating 3D tiles, you need to be able to tell the system which borders it should exclude. As in not create polygons on those edges for those would all just end up inside to composite shape. So, I added this little cube tool in the lower right corner of the screen to tell the system which edges it should not bake along with the tile. To be able to work fast and accurately, I also added a shift-click align feature like you can find in Photoshop and an extrude feature to extend the block on the building grid either, up or down. With all those features combined, I will be able to create various items, shapes and worlds. It just needs to persistence to work correctly, which is exactly what I am going to do next. There are some lingering items hovering in regards to the optimization to make it dynamic, but that will have to wait until later this month, because I plan on getting a lot of work done on the actual game in a weeks time. When I will take a whole week off to do just that. The rest of the night, I am going to relax, drink a couple of Guinness and watch a movie with the girlfriend.